An engagement photo session can be a wonderful addition to your wedding package (and comes included in our ‘Champagne’ package). Inside every romance is a beautiful adventure, and your engagement photos let you share that love story with family and friends. An engagement session is a casual photo shoot that can take place before the wedding, anytime from 2 years to 2 weeks before the big day. We recommend this session for several reasons: It will help us get to know each other and also help you learn what it feels like to be in front of the camera. But besides that, you’ll come away with gorgeous images! You can use the images not only in your home but also on your wedding stationery (save the dates, invites, thank you cards) or as a photo guest book, as below. 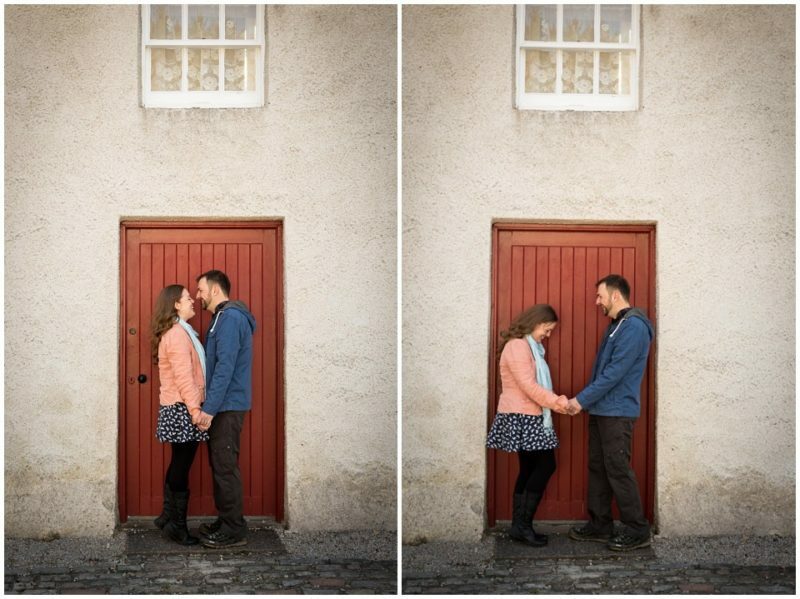 During your engagement session, you will see that being photographed is not as scary as you might have thought! We’ve had unkeen beans tell us that they really enjoyed our sessions, and it always shows in the photos! We promise plenty of bad jokes and lots of fun and adventure. These sessions are also a great way for you to practice posing. We will direct you, so you don’t need to worry about posing yourself. Don’t worry – we won’t be too rigid and formal. We will guide you into flattering poses, and all you have to do is let your love shine through. Engagement sessions are also a great way to see how you look in pictures. Everyone has different expectations, (usually that they won’t look good), but once you see how great you look, your nerves about the big day will be totally alleviated, and you’ll relax a bit in front of the camera! It can also give you a chance to try out your hair and make-up for the wedding day. 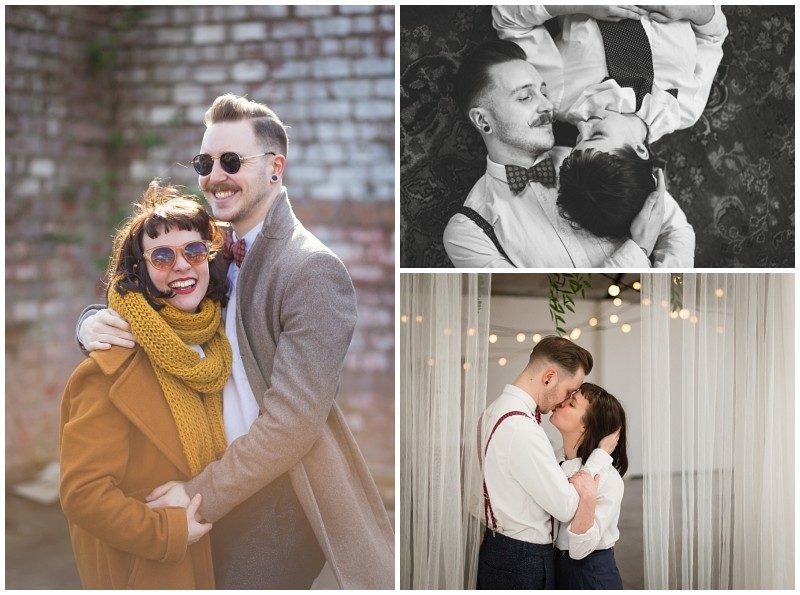 You can use your engagement session pictures for save the dates, thank you cards, a photo guest book (as below) or just some great new profile pics on Facebook! Most couples I know tell me that they don’t have any good pictures of the two of them. Well, this is your chance! It also gives you the opportunity to see how we work and will give you a much better idea of what to expect when your wedding day comes around. 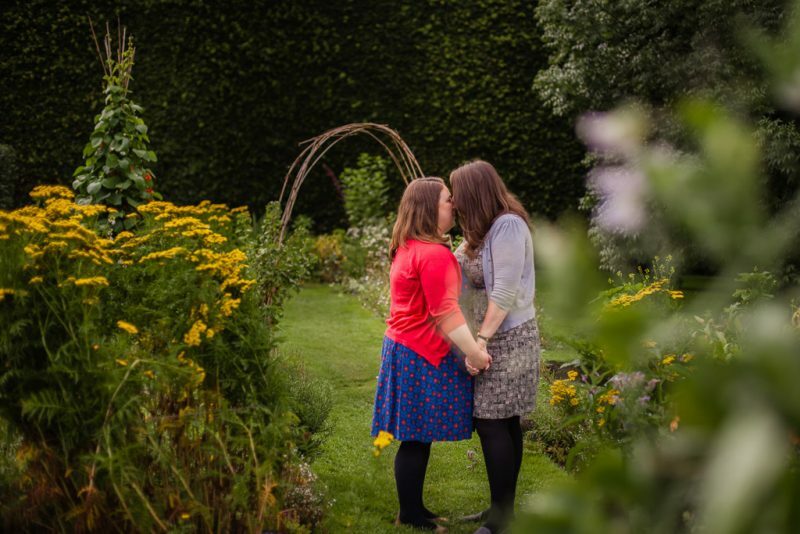 We have been told by past clients that they are so glad they had an engagement session, as it better prepared them for what to expect on the big day, plus they got some amazing images to boot! Engagement sessions are usually shot on a weekend at either 1 hour after sunrise or 2 hours before sunset (this is what’s known as the Golden Hour). Those beautiful, light, airy, golden-lit pictures you’ve seen? Yup, that’s the secret! Location. The location is your choice, but we suggest you pick somewhere that has meaning for you both. The place where you first met; your favourite restaurant; the site of the proposal; the beach where you walked together, hand-in-hand – any of these locations can make fun, informal, intimate engagement photos that help to tell the story of YOU. Think about what vibe you want the pictures to have: urban or natural. If you are unsure of a location, we can always give a few suggestions. Clothing. Feel free to bring a change of clothes if you want two different feels, (e.g., one formal, one casual). We suggest complimentary colours, but nothing too matchy-matchy. Add bold accessories (hats, scarves, and shoes) for a pop of colour. For a timeless look, try to avoid anything with big logos. Please see our portrait tips blog for more information. Props. Feel free to bring along anything that has significance for you. Musical instruments, trinkets, or signs for save the dates or thank you cards are all great ideas. We’ll meet at your chosen location and just go for a wander around, to see what we come across that will make a good location. We will do some fun games to help warm you up and get those grins out. And we’ll ask lots of questions to get to know you both better. We will give posing directions but only when required. Most couples out for a walk act exactly how we want them to anyway: in love! Engagement sessions typically last one to two hours and include an outfit change, and we are happy to accommodate additional requests! After 24-48 hours, we will visit you to reveal your images and discuss what products you may wish to purchase to make best use of your images. We will also upload an online gallery of any images you purchase, which means you can share the heck out of your awesome new shots! We really cannot recommend these enough. You will not regret having a custom engagement session!